A bumper Roundup this week as we recap a busy couple of weeks in Marlow sport. 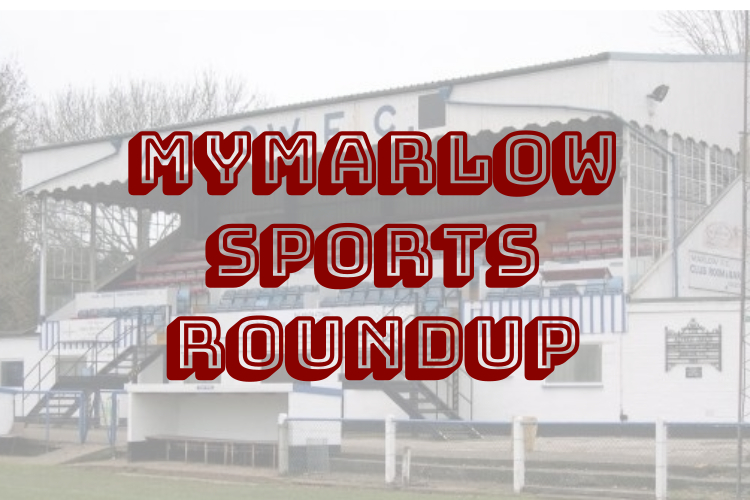 Marlow Rugby club keep their playoff hopes alive with a stunning win over champions Windsor, Marlow FC still have work to do to wrap up a playoff spot. Marlow United keep up the hunt for a league title while it’s good news all round for Marlow Hockey club. Marlow RFC Men’s 1sts knew a win against league leaders Windsor would keep them well in the hunt for the coveted second place and play-off spot in the Wandworth 6x Southern Counties North Division and they got just that on Saturday. A brilliant 28-25 win sees Marlow remain three points behind second placed Buckingham, with a game in hand. Marlow have two games remaining – a fixture against Reading Abbey on April 13 before a season closer against High Wycombe on April 20. Windsor were crowned Champions after gaining a bonus point in the loss. The men’s first team finished on a high by beating Eastcote 6-1. They played some excellent hockey; and debutant 16yr old Harvey Loretto was outstanding & all but opened the scoring when one of his team mates stole it on the line. Lewis Goodman notched two more goals but couldn’t displace James Ward as the team’s top scorer. Louis Cardinouche got 2 goals and was awarded Man of the Match & Pat Staal also scored. It leaves Marlow 7th in the league. The men’s 6th team who secured back to back promotions last week smashed top of the league, Wootton Wanderers2 7-0. Scorers were Ewen Hunter (3), Tim Frost (2), Will Peacock, Fin Anderson. That competes a very satisfactory season for the three lowest ranked teams the 4th finishing 3rd and the 5ths top and also promoted. 2018/2019 was another stunning season for Marlow Ladies 1st XI. Having been newly promoted into South Div 2 last year, Marlow secured promotion a second year running with two games to go. This sees Marlow enter South Div 1, one division away from putting Marlow Ladies on the hockey map and entering the National League. Marlow Ladies have never played at this level before and the club are very excited at this prospect. The team has successfully navigated the season led by player / coach, lead goal scorer and ex- Olympian; Jane Smith and Captain Gemma Newberry. Gemma said ‘It’s been a joy to lead such a strong group of players on the pitch. We’ve had strength from our experienced team members and in speed through our younger players and look forward to attacking South Div 1 from September’. Marlow welcomed Natalie Riches this season from National League Wimbledon which has no doubt strengthened the back line. Last weekend the girls dominated vs travelling Havant 1XI 4-0. A stunning goal from Emma Bunyard in the first five minutes set the pace swiftly followed by goals from Luisa Northing, a tap in from Natalie Riches and a diving deflection from Ellie Yeomans. Stunning play from both Amelia Barclay and Jemima Copeman left the Havant team struggling to keep up with their speed and skill. The team played their last game this weekend vs Hampstead and Westminster 2s and the result was 2-2 and finishing their season with resilience, positivity and determination! The ladies 1st XI would like to thank their sponsor for this year, Premier Financial Management. The ladies 4s started this season with back to back promotions and were looking to secure their place in Trysports Div 2 but early on in their season it became apparent that they could actually do well in this league. The team has a mixture of youth and experience and dogged determination led by their captain Sarah Perks. The final standing in the league went to the final weekend of hockey and the Marlow side thought they needed a win to secure promotion but actually their only rivals for second spot, played earlier and drew so Marlow were promoted before the match was played! They did not know this however and the match against Wycombe 3s was fiercely fought. The final score was 1-0 to Marlow with a short corner strike from Liza Rowles. So with their 3rd promotion in as many years, the Marlow 4s will play next season in Trysports Div 1. Marlow 2XI drew 4-4 away at promoted Newbury, goals from James Ashburner (2) and Harvey Loretto (2). After Marlow had led 1-0 and 3-2, Newbury had edged ahead 4-3 with a minute on the clock. An illegal clearance off the line from the Newbury keeper then allowed Ashburner to equalise with his second penalty stroke of the day. Despite being awarded a short corner immediately after the restart, Marlow were unable to convert to take all the points. M3 battled well in the heat with a bare 11 v Wallingfords large 15 man M2, but just didn’t have the legs & went down 5-3. M4 missed their chance to become Champions and also missed out on Promotion despite being top of the league since before Xmas. They lost 2-1 to Windsor M2. M6 were also promoted with a game to spare after a 2-1 win v Thame M3. Marlow United continued their ruthless chase of leaders Cookham Dean in the Thames Valley Premier League in recent weeks. Last week, March 30, United put Woodley United Royals to the sword in a 6-0 win and they scored six again this weekend, in a 6-1 win over Richings Park. Six different scorers in this one as the Flying Blues took control from the off. 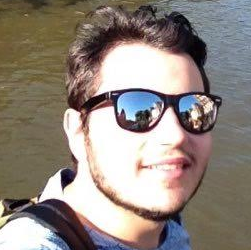 Josh Fox opened the scoring before Felix Prudden doubled the lead. The further four goals all came in the second half from as Ollie Flint, Liam Bushay, James Namyslak and Alfie Lucas made sure that Marlow go into the final three games knowing a 100% record will see them crowned champions. Marlow FC have seen their chase for second place falter in recent weeks and after a 1-0 loss to local rivals Bracknell Town at Oak Tree road last week saw the visitors cement second place. And this week the Blues were on the verge of picking up three points but were pegged back with a late goal from Waltham Abbey as the two sides shared the spoils in a 3-3 draw. After a slow start, Mark Bartley’s men battled from 2-0 down to score three times in the first half, with an own goal, Jordan Edwards and Isaac Osei-Tutu giving the Blues the lead. But despite Waltham being reduced to ten men late in the contest they scored a late equaliser to spoil Marlow’s day. But with Cheshunt also dropping points, Marlow’s game in hand against Molsey on Tuesday will takes on more importance. As a win would see them climb above Cheshunt into third. Previous articleWater load of fun at Westhorpe!